Once cured, CQuartz Professional forms a dense, durable coating that protects the paint and retains a high gloss for years to come! 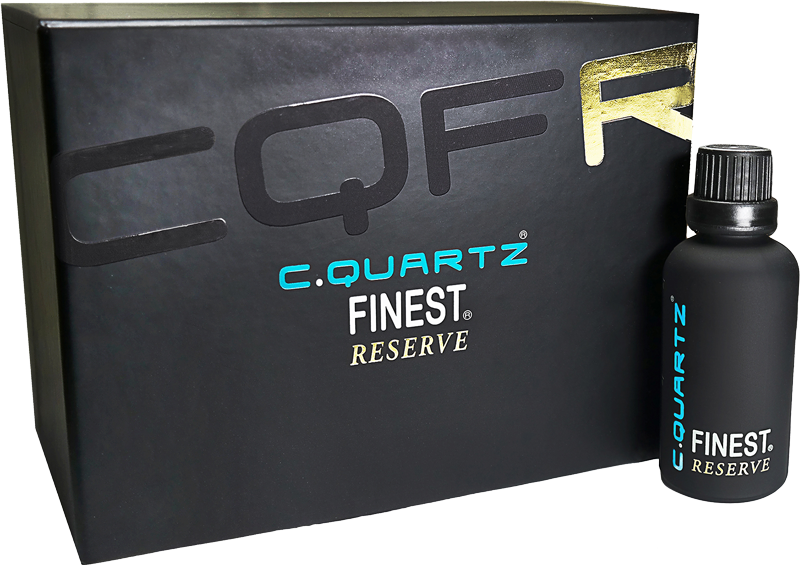 Finest Reserve utilizes an entirely new technology built on a complex hybrid blend of quartz infused epoxy nanotech particles. This Next-Gen tech utilizes an advanced hybrid composition, which bridges the gap between ceramic and organic materials, with advances in a variety of attributes and unlike anything that has come before it! CQFR provides a rich finish impervious to all oxidative elements and resistant to many stains and spotting issues which are prevalent elsewhere. get years of extreme automotive protection. How does CQuartz Professional Nano Coat work? CQuartz Professional harnesses the power of advanced nanotechnology. Each silica (quartz) atom has multiple fluorocarbon molecular bonds, which create a high-density 3D structural coating matrix. Once bonded to the surface of your paint, CQuartz Professional not only protects the gloss and depth, it actually enhances it! Once cured, CQuartz Professional forms a dense, durable coating that protects the paint and retains a high gloss for years to come! One of the most important features in keeping your vehicle clean is the ability of the protective layer to release water. C.Quartz Professional features a low sliding angle which allows water drops to release easily causing an extreme lotus affect. CQuartz Professional has developed a reputation as the highest gloss coating available! It is important to note that proper depth and gloss is achieved with proper correction and polishing by an experience detailer with a passion for what they do. Fortunately we do not license detailers unless they are highly trained in EXACTLY these skills. After they have invested countless hours in their craft, it is only fitting to both protect their work long term and add the enhanced layers of gloss CQuartz coatings achieve! As we touched on previously: dust, dirt, and contaminants do not bond to your CQuartz Professional barrier in the way they do to paint with only a coat of wax or sealant applied. Any dirt or dust that does attach to the coating is MUCH more easily removed upon the next wash without having to scrub or clay the vehicle. CQuartz Professional coatings offer dirt and water shedding abilities beyond that of any other products on the market. With the self-cleaning affect provided by CQuartz Professional, most dirt slides right off during a wash.
Waxes and sealants obviously offer no swirl resistance. When you wash, dry, or touch your paint at any time you have the potential to scratch the surface. The scratches we are talking about here are very fine and referred to as “swirls” but as they build up the level of gloss you see as reflections and depth to your paint withers. These swirls refract light away from your eyes which is one of the causes of a dulled appearance to your paint over time. Unlike other coatings, CQuartz Professional coatings cannot be purchased on the open market and are installed by only CarPro Authorized Installers who have honed their skills so they may polish your paint to the highest level before protecting it with CQuartz Professional. The most dangerous enemy your paint will likely see in its life is bird droppings. They can vary in level of toxicity but it is well known by professionals that a bird dropping can dissolve wax on contact, eat deep into paint, and leave an etching within minutes. With CQuartz Professional you have a barrier which resists bird droppings and allows you time to discover and remove them so they cannot cause permanent damage to your paint. Anybody that has just waxed their car will tell you – within a couple hours they can see the dust building up on it and after a drive that dust is still there. It doesn’t blow off and it does accumulate on the carnauba wax layer. Polymer sealants are a little better and stay cleaner than waxes however they too allow dirt and dust to stick to them. 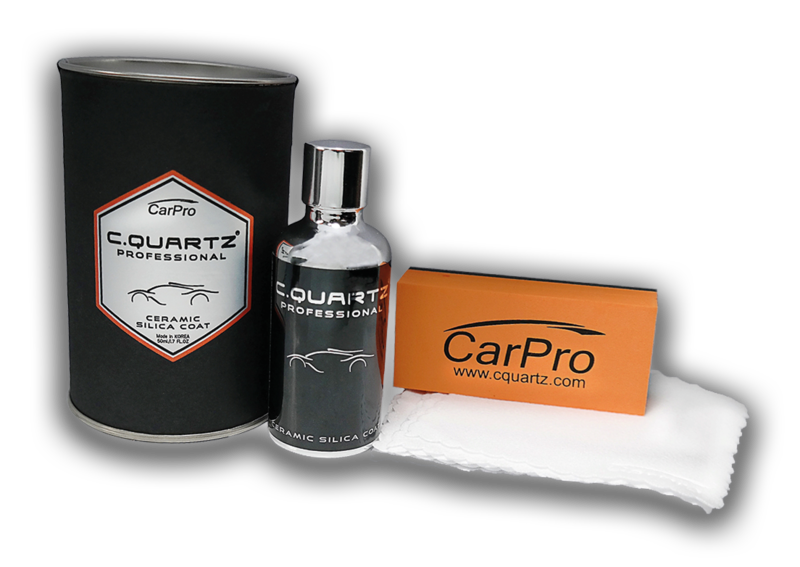 Compared to wax, dust and dirt retention is lowered up to 80% with CQuartz Professional. Of course some will gather and collect over time but you will enjoy the beauty of your vehicle between washes when protected by CQuartz Professional where as with other products the paint will look dirty faster. 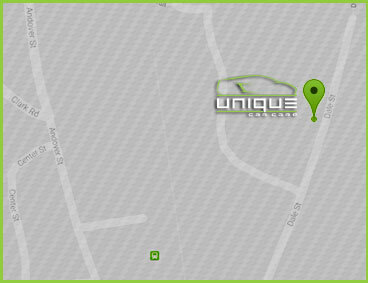 Your CQuartz Professional Installer has been trained to use only high quality professional products on your vehicle. They start with a high level auto wash followed by an intensive 2-3 step decontamination process to remove all bonded contaminants from above and beneath the surface of the paint. Following the “decon” process the paint is further analyzed and the best combinations of high tech pads and polishes are tested to produce the highest gloss possible. 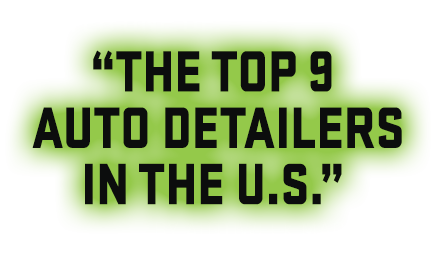 This may include polishing the entire vehicle 2 and sometimes 3 times to reach this level. After the paint is perfected all the polishing oils are stripped from the vehicle. This step is essential so that CQuartz Professional will fully bond with the paint. When the paint is determined to be 100% oil free, 2 thick layers of CQuartz Professional are applied. Finest Reserve yields a unique richness and depth found nowehere else in the world. Its advanced protective properties maintain this rich, glossy finish and resist oxidation and dulling for years to come. Finest Reserve assists in resistance to fine swirls alongside proper maintenance and care. It should be noted that no coating is swirl proof and it is important to use only high quality wash mitts and drying towels or a blower to maintain near perfection. We highly recommend allowing your Licensed Finest Reserve Installer to either maintain your vehicle or accept their complimentary training in proper wash techniques. When Finest Reserve is selected, there is only one option for preparation of the vehicle. No expense will be spared in the preparation of the surface before application of Finest Reserve! A mandatory minimum 2 coats of Reserve are applied and heat cured at a consistent 140° F via IR cure lamps for the ultimate automotive enhancement and protection.